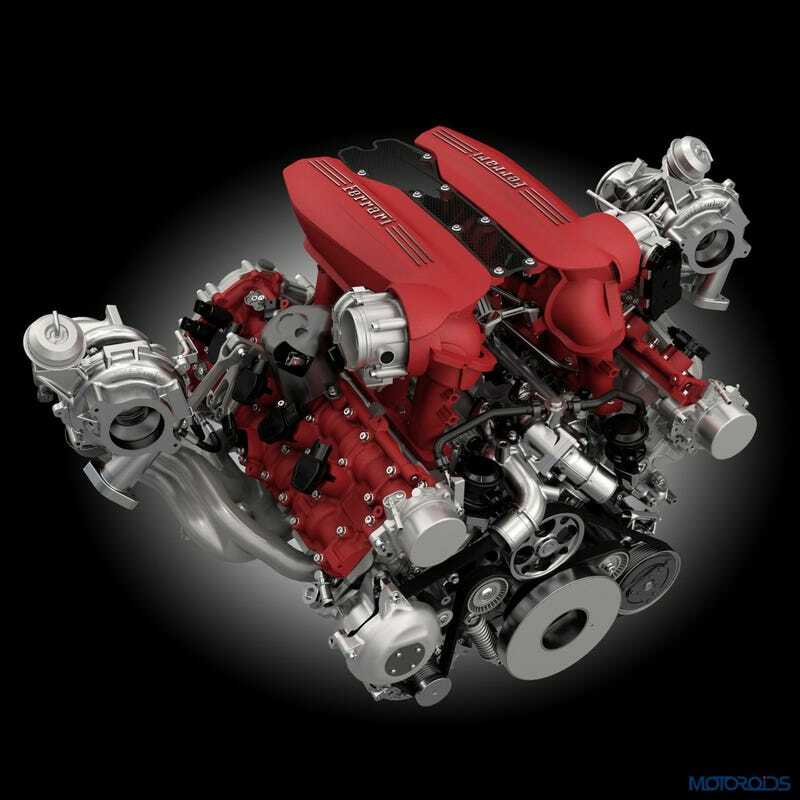 Ferrari didn't tell anyone, but clear as day in the 488 GTB engine picture, the valvecover doubles as an 'integrated camshaft bearing cap'! Saving not only weight, but increasing stiffness of the head as well. As far as my limited google search has told me, this is the first engine that does that. Bravo Ferrari!